Colin Druce trained as a professional pianist and organist with Roger Fisher (Organist and Master of the Choristers at Chester Cathedral), and later at the Birmingham Conservatoire, where he won the Ludlow Philharmonic Concerto Competition Prize. Colin is very well known in his local area of Leamington Spa and Warwick as a concert organist and pianist, as a teacher, and as an accomplished accompanist, not least through his long association with the Royal Leamington Spa Bach Choir and the Warwick and Kenilworth Choral Society. Colin is much in demand as a teacher of piano and organ to children and adults from beginner to diploma level, and he also enjoys teaching children to sing up to Grade 6 level. Colin gives recitals and concerto performances at venues throughout the country as a concert organist, concert pianist and also as an accompanist. 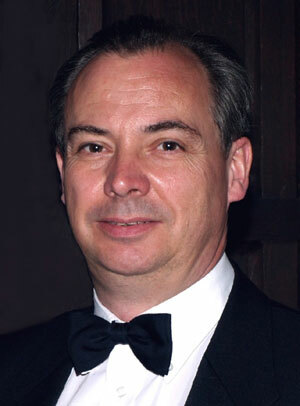 He is available for weddings in Coventry & Warwickshire, and surrounding areas as an organist or as a pianist. Colin is also an experienced performer at degree ceremonies and other events. He has a thriving private piano and organ teaching practice in Warwickshire, and gives lessons for both adults and children from complete beginners to Grade 8 and Diploma level. If you would like to get in touch with Colin to enquire about lessons, accompanying or recitals please use the contact form on the Contact Page.